The following information is intended to serve as a resource for participants in the Certificate Core 10-week cohort. This includes those participating in one of our other programs that overlap with the Core as well. Whether participating in the Core to complete your Nonprofit Technology Professional Certificate or as a participant in one of our other cohort programs that overlap with the Core the guidelines are the same. Registration and acceptance into the program are on an individual basis, not organization-wide. This allows for a single individual to have access to the online courses, participate in the online community, submit homework, etc. Below is a copy of the orientation materials for the general Certificate Core. Please note that there was a different Orientation for each of the other programs that overlap with the core. Links to those program specific materials are located below as well. You can find the Interactive Recording here. The following is some general information about each of the various systems we use throughout the program. 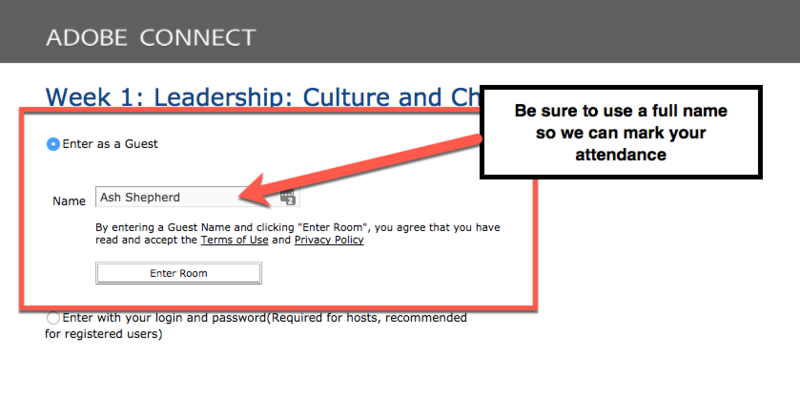 You will only ever need to log in at nten.org with your main account. From there you will able navigate to the other areas of the site and platforms without needing to log in again. You can find a wide range of additional information on how to manage your account here. 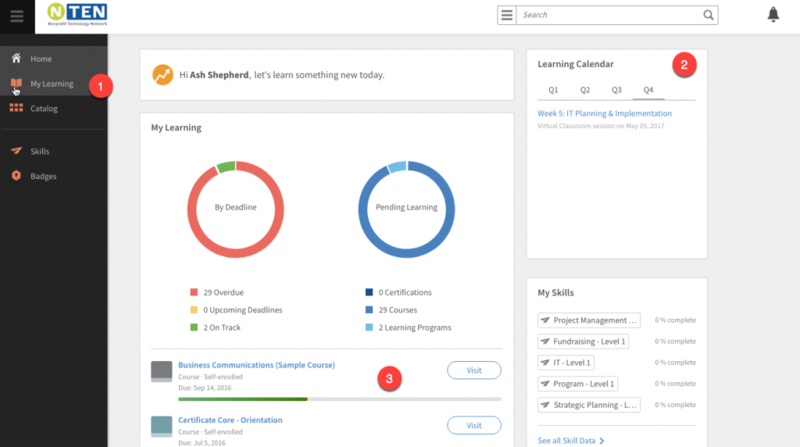 The Online Training Center is your hub for all your learning activity during the Core program. You will all materials, dates and links need to participate in all aspects of each week’s topic. To learn more about how to navigate within the Online Training Center be sure to take a few minutes and do the Orientation Course first. Getting access to each week’s live event is easy. Simply navigate to that week’s course and click on the link within the virtual classroom. You can also use the link provided in the calendar event for each week. However, you will need to navigate to the link within the actual course to access each week’s recording (see notes below). No need for passwords and all that. Just sign in as “Guest” and use a name that allows us to identify you in terms of marking your attendance at the live event. After each live event, we switch immediately switch the virtual classroom link to point to the recording. The recording is interactive so any links shared or files available for download can be interacted with as well. The platform we use is Adobe Connect and should not require any installs or addons. You should be able to click on the link and participate through your browser. Again, start by logging into your account at nten.org. From there look for the “Communities Discussion” link in the top navigation. You will now see a list of groups you have access to and will see one named after your cohort (i.e. Spring 2017) on the list. There is a fairly robust Help FAQ resource for the online community space as well as an explanation of our Community Guidelines. During Week 0 (Orientation Week) there are two action items you can complete to help you be prepared to jump into Week 1. Be sure to take a few minutes to complete the Online Training Center Orientation course. This will give you a chance to make sure you know how to navigate a weekly course before you have to jump into the first topic. See notes above in the Online Training Center section on who to navigate to this course. Within the Online Community group, there is a thread titled “Welcome & Introductions”. Take a moment to introduce yourself and get to know your peers who you will be learning with and from over the course of the cohort. Below is a calendar with dates for the set elements of the Certificate Core specifically. Links for the specific programs that overlap with the Core but include additional programming can be found below as well below. You can find a full description of what is covered during the Core here. You can also view the course catalog to see what will available as well as part of your participation in the program. You can also share any questions in the Online Community and where we keep an eye on things and will respond so everyone can see the response. We also use this space to share answers in a public manner if we find we are getting multiple email requests around a similar topic. From these two places, we can also look to schedule a call or video chat in order to get you the support you need.